Earlier today, Xiaomi started teasing a new product launch in India. 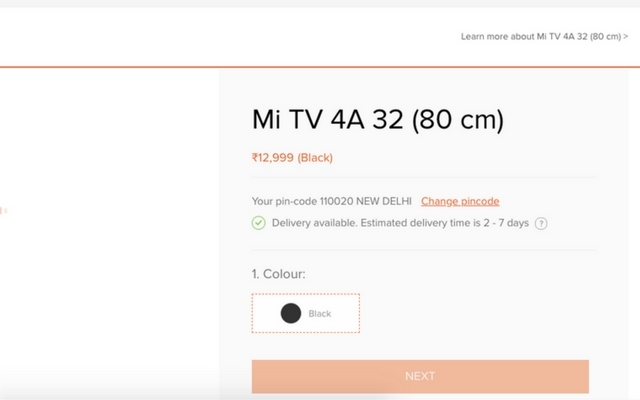 Although there’s no official confirmation, the product listing on their official website confirms that they’re planning to launch the Mi TV 4A in India. In case you don’t know, the Mi Tv 4A is already available in the Chinese market. 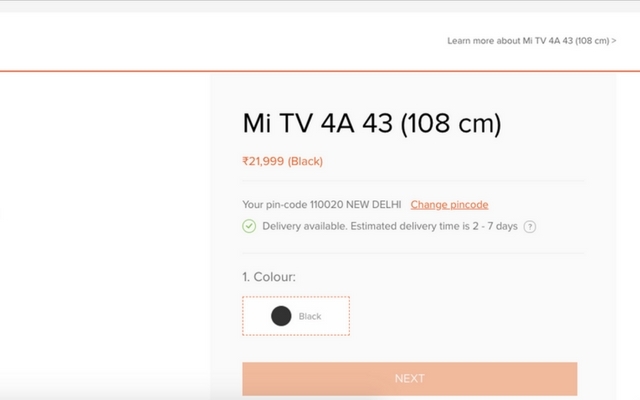 Xiaomi might launch the 32-inch and 43-inch variants of the TV, which makes sense considering the fact that they have already launched the 55-inch Mi Tv 4 in the market. According to the listing found on Xiaomi’s website (the pages aren’t public but were found by some basic URL hacking), the 32-inch model will be priced at Rs 12,999, whereas the 43-inch model will cost Rs 21,999. If these leaked prices are something to go by, there’s no doubt that Xiaomi will disrupt the market. Xiaomi Mi TV 4A 32-inch comes with 1366×768 pixels display with 178-degree viewing angles. It is powered by a quad-core Amlogic processor coupled with 1GB RAM and 4GB of storage. It runs a custom OS based on Android. As for connectivity, the model includes Wi-Fi, 2 x HDMI, AV, USB 2.0 x 1, and Ethernet. The 43-inch variant of the Xiaomi Mi TV 4A sports almost similar specifications as the 32-inch model. Talking about the differences, it sports a higher resolution display coming in at 1920×1080 pixels. It also sports Dolby surround sound and DTS with Bass Boost. Considering the fact that Xiaomi has started teasing the launch, it is expected that these new TVs will launch sooner rather than later.